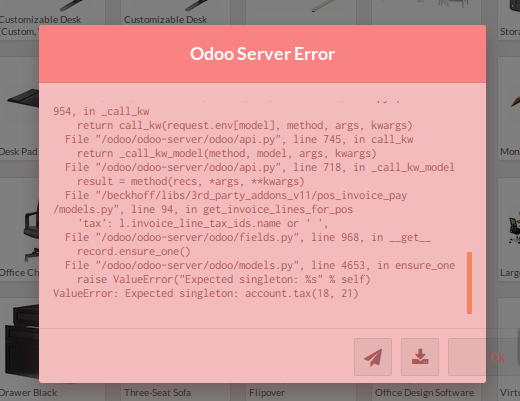 Clicking 'Create Invoice' on invoiced order causes the 'event is not defined' error. What's the next step for this PR? What's the next step for this PR? — You are receiving this because you were mentioned. Reply to this email directly, view it on GitHub <#880 (comment)>, or mute the thread <https://github.com/notifications/unsubscribe-auth/AbjWsLFbnmzTDmaq35puxSf6ofpR-Aagks5u9MbAgaJpZM4Zg4a5> . I finally managed to take a look at it. Saw that there are some additional improvements as well, nice! If you create a credit note from an invoice and choose option create refund, reconcile, and create new invoice causes singleton error when opening refund/invoice. To solve this in v11, I decorated _get_payment_info_JSON with @api.one because it had to be fast. but worked. The POS invoice payment generates a web request with same parameters and gets the same response more 10 or more times after clicking "Create Invoice" button. In my case, it took 10 second passed before the payment screen is displayed. I just noticed that invoices are not printed anymore when created from sale order. 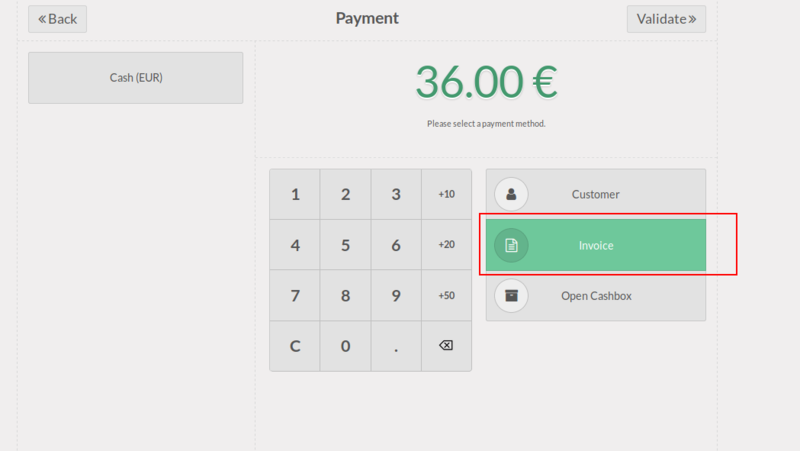 Currently, as soon as we create an invoice, the option Invoice on the payment screen is pre-selected and the user can then easily print the invoice. Do you know if you removed that feature at some point of time?